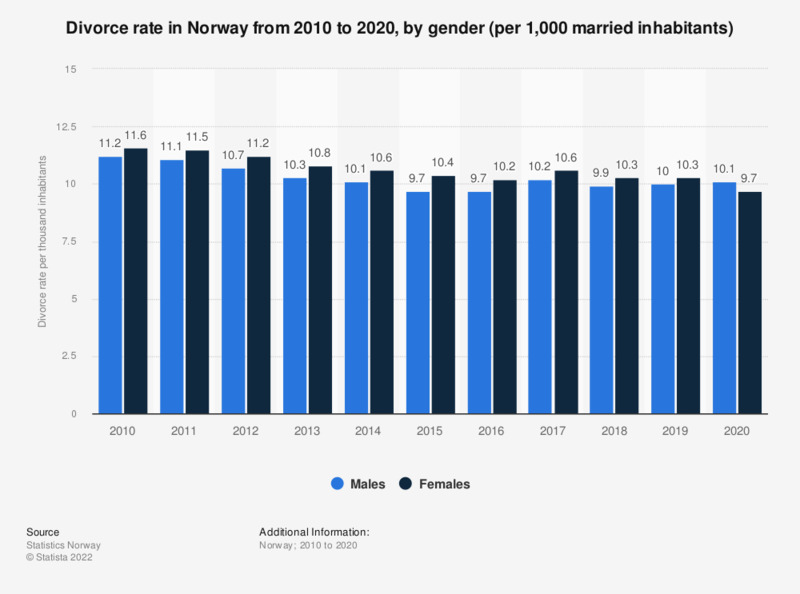 The statistic shows the divorce rate in Norway from 2007 to 2017, by gender. The number was steadily declining until 2016. In 2016, there were 9.7 divorces per thousand males and 10.2 divorces per thousand females. In 2017, the rate increased and 10.2 males and 10.6 females divorced per thousand inhabitants.